I've released 2 new hat patterns on Ravelry today! 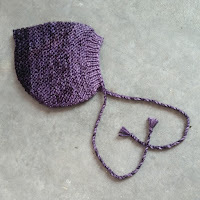 Firstly, a bonnet style pixie hat for babies and young children, Sporty Pixie Bonnet. The hat is an easy knit, knitted flat from the brim to the crown and seamed at the back. 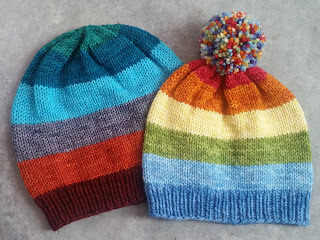 Secondly, a fun and colourful stripey hat for children and adults, Playful Hat. 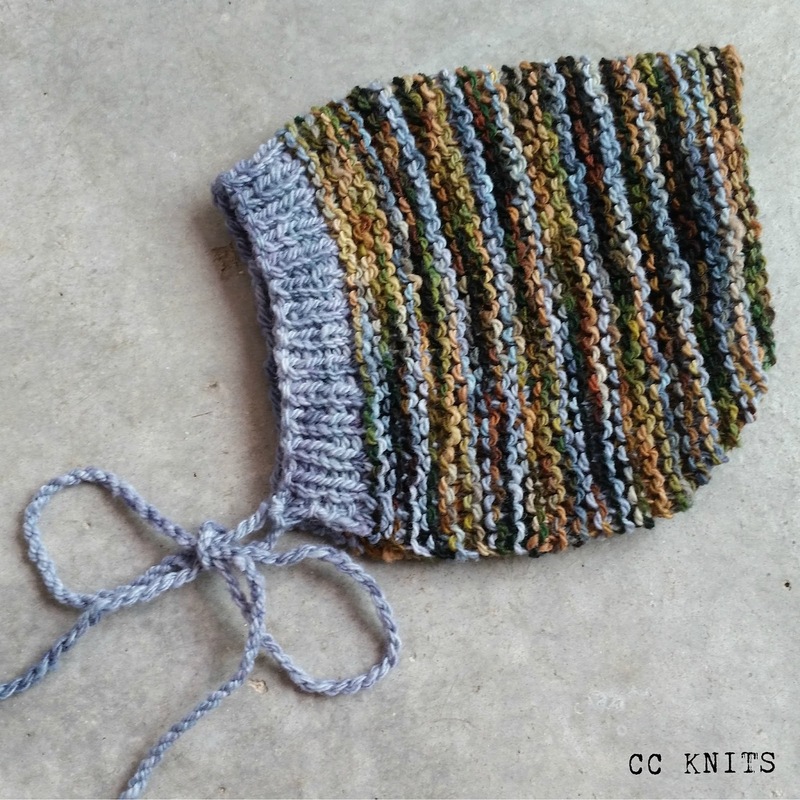 Knitted in the round from the brim to the crown with a stretchy ribbed brim and stockinette body and crown. This is a perfect pattern for using up small amounts of scrap yarns, the pattern is written for 6 colours, but can easily be adapted for more or less if desired. Introductory offer: use the coupon code INSTA1 in my Ravelry store to get one of these patterns for $1 only!